Push-ups with added weight build strength and train your chest while keeping the shoulders healthy. Here’s how to do them. Before barbells there were push-ups. This is an exercise that has stood the test of time. Being able to do a push-up should be part of your annual physical with a doctor. Beyond that, if you want to preserve your shoulder health over the long term, it makes no sense to stay strictly on the barbell for chest work. Outside of the extra loads needed to train, a barbell tends to beat the joints up to a greater degree than push-ups, regardless of the weight. Solid push-ups done with load allow for normal movement of your shoulder and scapula while still challenging your chest. As an added bonus you’re forcing your core to get stronger in the process. 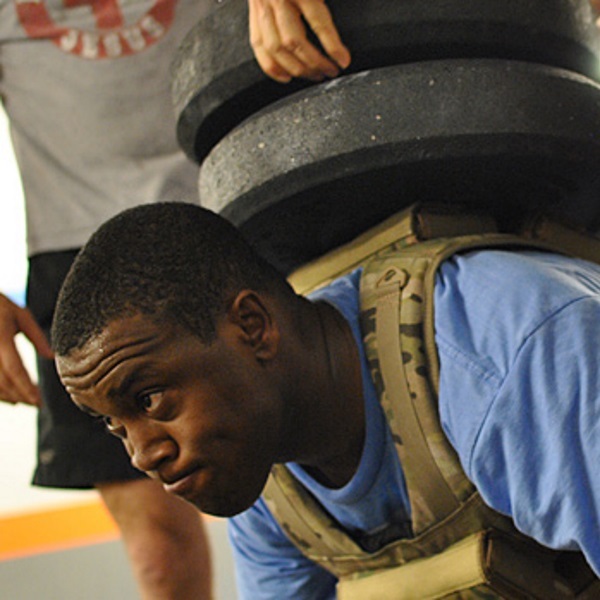 Try 3 sets of 12, using a weighted vest or, if you’re lucky enough to have them, chains.